Today’s recipe is a favourite of mine! Errr! It seems that all my recipes are my favourite. Anyway, it is a simple recipe, but with lots of nice flavours. 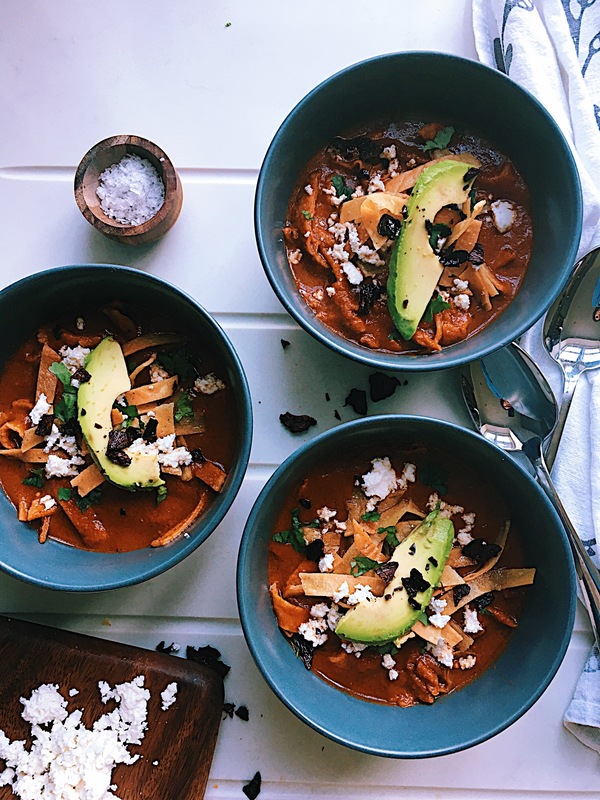 A tortilla soup, also known as azteca soup, is very popular in Mexico, the ingredient that gives that special flavour are, obviously tortillas and pasilla chillies. This recipe is great for when you have some old corn tortillas. Clean the pasilla chilies. Remove the stem and seeds and put them to soak in hot water. Cut the tomatoes and onion in chunks and place them in the blender with the garlic. Add salt to taste and the pasilla chilies. Add one cup of water and blend until getting a smooth consistency. Put a casserole dish to heat on medium heat and add one tbsp of oil. Add the salsa and cook for 15 min. Stiring from time to time. Heat a frying pan and add the rest of the oil. Cut the tortillas with your knife in julienne. Fry the tortillas in small batches until golden brown. Once fried place them on top of a kitchen paper to drain the excess of oil. Set aside. Once the salsa is ready set aside. Get the avocado cut in slices. Crumble the cheese, chop the coriander and fry the pasilla strips. Then add fried tortilla strip making sure to leave some aside to garnish the soup. 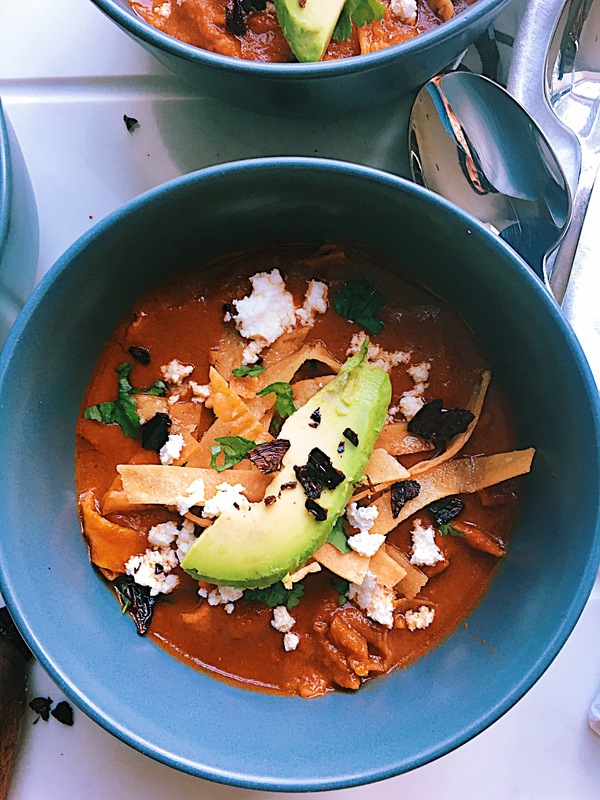 To serve, serve some soup in bowl, top it with some fried tortilla strips, cheese, coriander, slices of avocado and pasilla strips. Squeeze a little bit of lime and enjoy!